Henry P. Neufeldt: businessman, civic leader and church music educator; born 5 April 1909 in Rosenwald, Slavgorod Mennonite settlement, Siberia to Peter Jacob Neufeldt (30 October 1872 - 6 March 1970) and Sara (Wedel) Neufeldt (8 November 1877 - 18 October 1947). He was the eighth in a family of twelve children, three of whom, Jacob, Henry, and Peter, survived to adulthood. On 31 May 1931 in Yarrow, British Columbia, Henry married Margaret Enns (21 September 1910, Lichtfelde, Barnaul Mennonite settlement, Russia – 13 July 2005, Abbotsford, British Columbia, Canada). She was the oldest daughter of Heinrich A. and Margaretha (Klippenstein) Enns. They had three daughters and six sons: Victor, Lora, Leonard, Wally, Ronald, Al and Carol (one son and one daughter died in infancy). Neufeldt died 17 August 2001 in Abbotsford, British Columbia. The founding of the Mennonite Brethren church in Yarrow, BC, in February 1929, coincided with the arrival of Neufeldt with his parents and younger brother, Peter. His older brother, Jacob, and family soon moved to Yarrow as well. Neufeldt was baptized that year (17 July) in the first such service for the new congregation. Only 20 years old, Neufeldt was pioneering for the fourth time in his life. He was born near Slavgorod, Siberia a few months after his parents resettled there from Orenburg, the latter a brief stopover after leaving Neu Samara. In 1925 a local Bolshevik agent confided to the Neufeldts that they were on a list for imminent arrest. Quickly selling what was left of their once large farm, they immigrated to Mexico. In 1926 they left Mexico, traveling by train to Drake, Saskatchewan and settling in Zeneta six months later. Here their farming plans were defeated by drought and pests. Upon hearing of temperate climate and cheap land in the fledgling Mennonite community of Yarrow, they relocated there. One could not have foretold Neufeldt's future as entrepreneur, civic figure and music educator from his initial labors in lumber camps and hop fields. In 1931 he married Margaret, who had moved with her family from Neu Samara to the Slavgorod region in 1908 and immigrated to Zeneta, Saskatchewan in 1926 before coming to Yarrow. In 1932 Neufeldt purchased his first truck; two years later he and John H. Martens merged their small trucking companies to form Martens and Neufeldt Trucking, Yarrow's first large business. In the 1930s and early 1940s he also served on the local school board, the executive of the Waterworks (Yarrow's political administration) and the board of the first Yarrow co-operative. After World War II the Neufeldts embarked on a major career change. Keenly interested in music and teaching since his youth, in 1946 Neufeldt began studies in sacred music at the Mennonite Brethren Bible College in Winnipeg. A year later he sold his share of his business partnership and moved the family to Winnipeg. By 1951, having completed both high school and the degree program at MBBC, he accepted a faculty position in music at the Mennonite Brethren Bible Institute in Abbotsford (today's Columbia Bible College). Here he taught music for a decade. During this time he produced two religious radio broadcasts, one for the Bible Institute and the other for the Yarrow MB church. He also offered private classes in music theory, harmony and conducting. 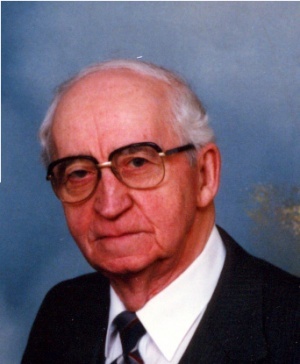 From 1961-65 he taught music at the Alberta Mennonite Brethren Bible Institute and for three years thereafter at Mennonite institutions in Paraguay. During the 1970s he served as campus manager and purchaser for Columbia Bible Institute in Abbotsford, where his wife also served on the staff. Neufeldt's role as music educator in the Fraser Valley actually began in the late 1930s and 40s, when he studied voice in Vancouver, created a large youth choir in Yarrow, directed a brass band and assisted Walter and Menno Neufeld in developing programs in violin and piano instruction. It is for his work as music educator among Fraser Valley Mennonites that he is recognized today. On 27 May 2001 he and his wife were among the pioneer music educators honored in a gala musical event sponsored by the Mennonite Historical Society of BC. He died later that year, and was survived by his wife and seven children. Neufeldt, Leonard. "Neufeldt, Henry Peter (1909-2001)." Global Anabaptist Mennonite Encyclopedia Online. January 2004. Web. 26 Apr 2019. http://gameo.org/index.php?title=Neufeldt,_Henry_Peter_(1909-2001)&oldid=141235. Neufeldt, Leonard. (January 2004). Neufeldt, Henry Peter (1909-2001). Global Anabaptist Mennonite Encyclopedia Online. Retrieved 26 April 2019, from http://gameo.org/index.php?title=Neufeldt,_Henry_Peter_(1909-2001)&oldid=141235.